Vitamin C with antioxidant benefits helps maintain the connective tissue protein collagen, boosts immune function, protects against infection, and facilitates iron absorption. When you think of building your immunity, the first thing you think of is good old Vitamin C. While most people pop Vitamin C tablets, some supplement their diet with orange juice, lemon or aamla juice. Generally, there has been a strong belief that Vitamin C protects against colds and diseases. Two time Nobel Laureate Dr Linus Pauling claimed in 1970s that the deficiency of Vitamin C is the main cause for heart disease and many other degenerative diseases that can shorten our life expectancy. He advocated 5-10 grams (5,000-10,000 mg) of Vitamin C every day. The daily recommended intake (DRI) continues to be 40-60 mg/day for the normal population and cigarette smokers are recommended to consume 80-100 mg/day. Subsequently, this advocacy led thousands of people to take large doses of Vitamin C. Easy availability of Vitamin C in pill form, the publication of books recommending Vitamin C as a “nutraceutical” treatment to prevent and cure colds and cancer, and the belief that it is safe and non-toxic, all contributed to its wonder vitamin status. Do higher doses really offer protection and how much Vitamin C is safe? When people dose themselves with supplements, they leave the realm of nutrition and enter that of pharmacology. Like drugs, large doses of nutrients can have medicinal effects on the body and can present serious side effects as well. The theory — that Vitamin C prevents or cures cold or cancer — is not well supported by research, since Dr Linus Pauling suggested it. Claims that a daily intake of 1,000 mg or more of Vitamin C will protect against, or cure, the common cold have never been substantiated; while taking supplements may lead to lessening of the symptoms and their duration, it cannot actually prevent people from catching a cold. Regularly, consuming more than 1-2 grams of Vitamin C daily can cause stomach inflammation, diarrhea. It must be remembered that large doses of Vitamin C escape the body in stool or urine. The body is totally saturated at intake of 150 mg/day. High Vitamin C doses may be hazardous. Regularly consuming more than 1-2 grams of Vitamin C/day may enhance iron absorption but at the same time, it may cause stomach inflammation, diarrhea, gastro-intestinal discomfort, malabsorption, abdominal cramps, excessive gas and lower vitamin B12 absorption. Other hazards of excess Vitamin C, when taken at 2 grams/day, include altering insulin response to carbohydrate in people with otherwise normal glucose tolerances, formation of kidney stones, alteration of acid-base balance, interference with the action of Vitamin E.
Large amounts of Vitamin C excreted in urine can alter the results of urinary glucose tests used to detect diabetes, giving a false positive result in some instances and a false negative result in others. Vitamin C in amounts over 250 mgs can produce false negative results on tests for occult blood in the stools, masking the presence of potentially dangerous medical conditions like colon cancer. Vitamin C supplements in any dosage may be dangerous for people with an overload of iron in the blood because Vitamin C increases iron absorption from the intestine and releases iron from the storage. In addition, several instances of interference with medical regimens are also known. Vitamin C interferes with the effectiveness of amphetamines, blood thinning drugs, and tricyclic antidepressants. People taking medications to prevent blood clotting may unwittingly undo the effect if they take massive doses of Vitamin C. Therefore, people must tell their doctors before undergoing any diagnostic laboratory tests. 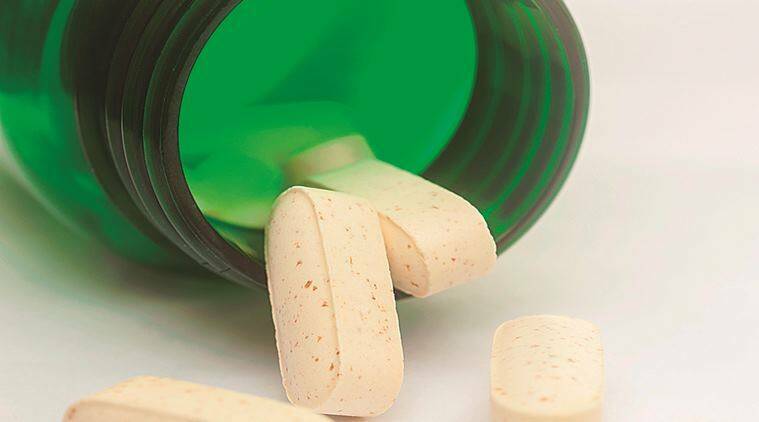 They should also avoid abruptly quitting daily supplementation of 500 mg or more, as it may cause short term scurvy like symptoms and temporarily lowered resistance to infections. The published research on large doses of Vitamin C reveals few instances in which consuming more than 100-300 mg/ day is beneficial. Adults may not be taking major risks if they dose themselves with a gram a day, but doses approaching 10 grams can be expected to be unsafe. Most people who do not exceed this will avoid diarrhea and other gastro-intestinal problems associated with consuming excessive amounts of this vitamin. People who venture outside these limits do so at their own risk. Chewable Vitamin C can erode dental enamel, may interfere with copper metabolism and increase the risk for gout in individuals who are generally susceptible. High Vitamin C doses may be hazardous. Ample Vitamin C obtained from foods such as aamla, citrus fruits, grapefruit, strawberries, guavas, kiwis, black currants, peppers, chillies, broccoli etc is generallysafe. A glass of orange juice or 1 medium guava alone gives nearly 125 mgs of Vitamin C. Considerable amounts of Vitamin C are lost during processing and cooking. So, the next time you think of immunity building or preventing the flu or pop in mega doses enthusiastically, remember the principle of balance. Too much of a good thing can be harmful. Individuals who are prone to gout or kidney stones, pregnant women and those on medication should supplement with Vitamin C only under supervision. Also, supplements are no match to natural sources, along with a balanced diet.